Launched at $399.99 last year, the console’s price tag will be reduced to $349.99 for the holidays, thereby letting you save fifty bucks on your purchase. 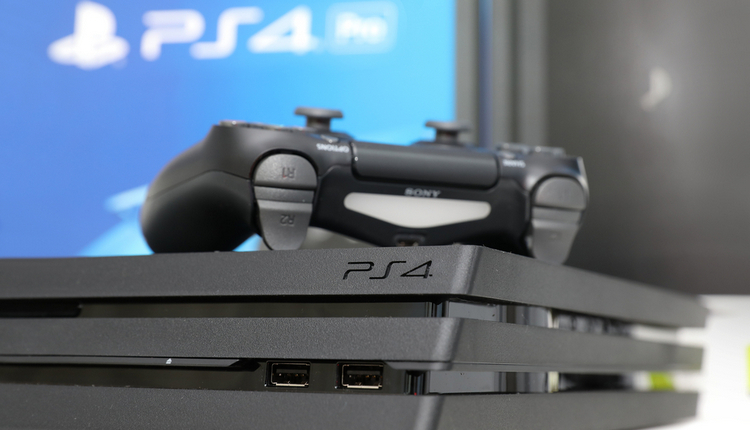 It comes with one DualShock 4 wireless controller, and no games have been bundled with this unit. This console variant has been fully customized in terms of cosmetics, with a matching Dualshock 4 wireless controller to go hand in hand with the Star Wars Battlefront II theme. It comes with a copy of Star Wars Battlefront II: Elite Trooper Deluxe Edition. 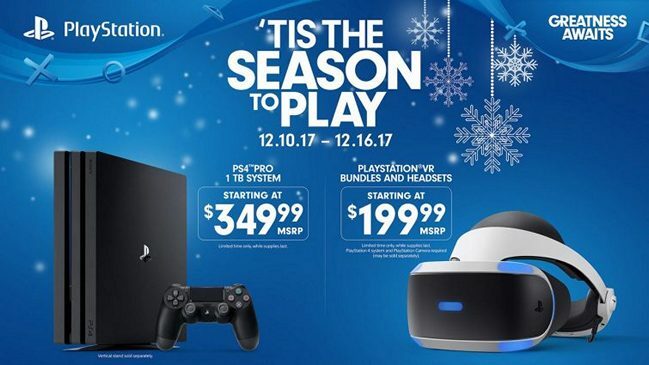 The bundle was launched at $449.99, but thanks to Sony, you can get it for under 400 bucks just in time for Christmas. If you wanted to purchase a PS4 Pro in white color scheme, you should go ahead with the limited edition Destiny 2 bundle which costed $449.99 earlier, has now been priced at $399. It not only comes with a copy of Destiny 2, but also includes a digital content voucher to access the game’s first expansion pass, “Curse of Osiris. The bundle comes with a PS VR headset, PS camera. a copy of Gran Turismo Sport and a demo disc of PS VR. It has received a $100 price cut, and it’s now available at just $199.99, so if you’re looking for an authentic racing experience, then look no further. Similar to the bundle which we just discussed above, the DOOM VFR bundle includes a PS VR headset, PS camera, a copy of Doom VFR game in addition to the demo disc for PlayStation VR. If you’re a fan of fast-paced games, you’ll love fighting against the demons in this game. It’s priced at $299.99, which is a discount of $100 on the actual cost. This bundle comes with a PS VR headset, a PlayStation camera, two PS Move controllers, a copy of Skyrim VR and the new PS VR demo disc. The bundle was launched carrying a price tag of $449.99, but you’ll be able to get it for $349.99 before Christmas. Well, these are all the discounts that Sony has to offer as we’re closing in to the end of the year. The deals will go live starting this Sunday, December 10 and will be available all the way until Sunday, December 24 just before Christmas. Make no mistake, these are not the typical online deals, as you need to visit your nearest Sony store to purchase it at the discounted price. So, are you looking forward to buy Sony’s PS4 Pro console or PS VR headset this holiday season? Do let us know, in the comments section down below.